Markets around the world have been in a continuous rout since we started the new year. 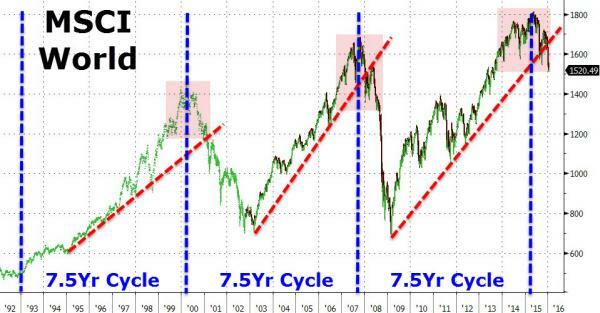 The MSCI world index has dropped 20% from its May 2015 high, meaning it has entered a technical bear market. 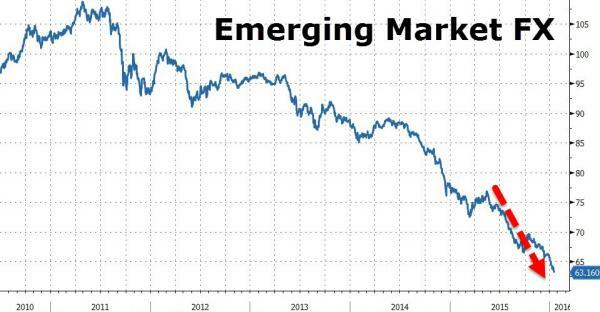 Emerging market currencies have been declining since mid 2011, and they've been in free fall for last few years. 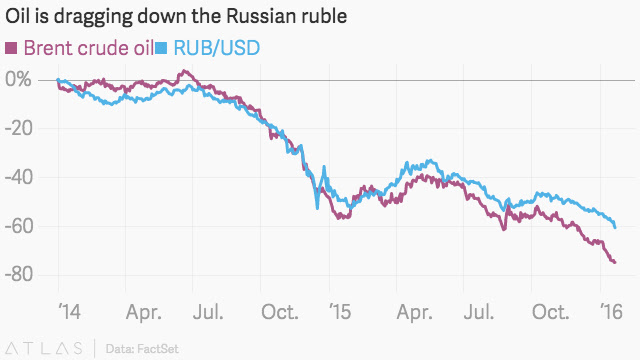 Oil has plunged in price and taken down oil dependent currencies like the Russian ruble, which hit a new all time low this week. 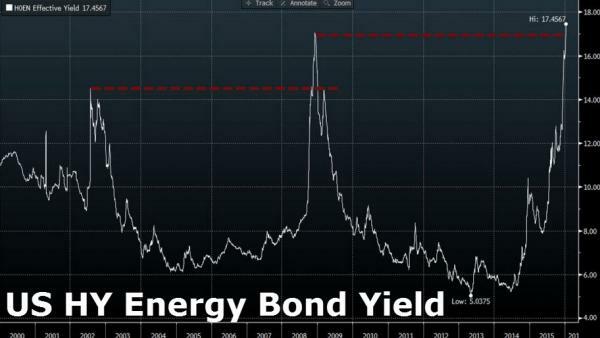 Specific sectors within the bond market have begun to implode; particularly high yield energy bonds. The chart below shows yields rising in this sector (underlying bond values fall as yields rise). 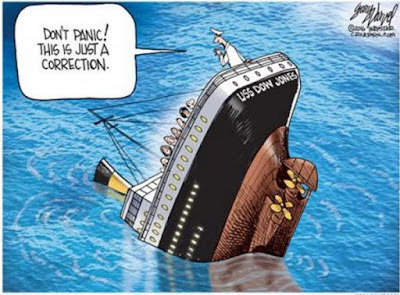 Since 2009, whenever we have had turbulence in the markets (meaning they moved downward) there has been an almost immediate announcement of either action or an action plan from the U.S. Federal Reserve and other global central banks. The Bank of Japan and the European Central Bank are already in full scale quantitative easing mode. The ECB has brought interest rates negative and trillions of dollars worth of debt in that region are trading at sub zero levels. The Bank of Japan is not only buying stocks and government bonds in its QE program, but they have recently begun to purchase corporate bonds with negative yields. The actions by both these central banks will be discussed and analyzed for decades once the current global ponzi monetary system unravels, but for now it is a normal part of our everyday world. The real question on investor's minds is what the Fed plans to do moving forward, and more importantly; what the reaction will be from the financial markets to their action. I think everyone can be confident that if there continues to be stress in the financial system (their beloved U.S. stock market continues to fall), then the Fed will take some sort of easing action. 2. Bring interest rates back to zero, and then taking them negative. 3. Announcing a plan for additional QE. While we have experienced QE1, QE2 and QE3 since 2009, taking rates negative would be uncharted territory for the Fed. The Fed's New York President William Dudley has already told the markets the Fed would consider negative rates if the economy weakened (Janet Yellen has confirmed these discussions as well). It is certainly possible the Fed's arrival back to the "easing side" of the market will unleash the animal spirits and drive global stock markets back toward all time bubble highs, reduce the value of the U.S. dollar against foreign counterparts, provide a bounce in both commodities and commodity based economies, and reduce some of the stress in the high yield bond market. 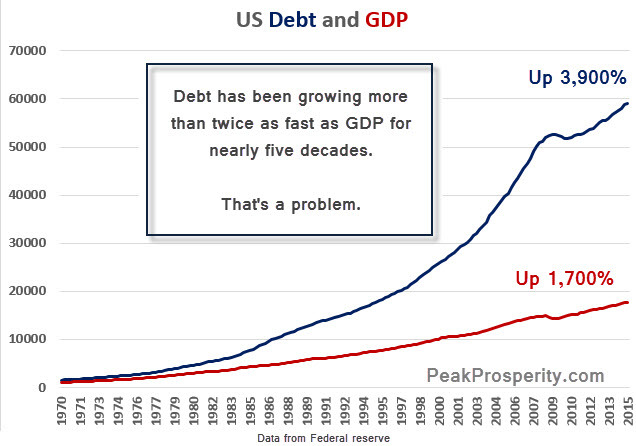 While that outcome is unknown, what we do know is their action will only add to the underlying problem in the global economy which was not solved in 2008; too much debt (continuing to grow rapidly everywhere in the world) and too much central bank interference in the markets (creating distortions that will only lead to greater crashes in the future). Perhaps this is the time the markets have finally run out of steam no matter how much jawboning or action the Fed takes. The most dominant misconception within the financial community is the Fed controls the markets. I believe the truth is the exact opposite. The Fed acts in reaction to markets, and the fact that markets have risen coincidentally with their actions since 2009 is just that; a temporary coincidence in time. When the market begins its true decline to cleanse the system of the malinvestment that has been created since 2009, people will see that the Fed is helpless to stop it. Then true fear will enter the market as investors realize their savior is an emperor that wears no clothes. When that fear arrives, and you will definitely know when it does, it will finally be time to buy U.S. risk assets at prices that reflect the reality of the underlying global economy.